I got this pic from anime net. 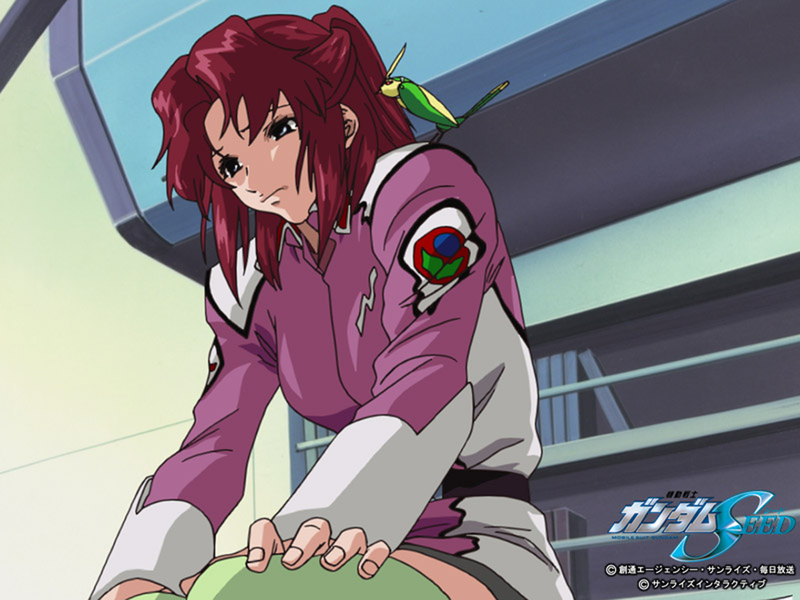 I think this is from the time that Flay tried to seduce Kira into sleeping with her again, and she got shot down... but I do like how she looks here, even if saddened, and with Tori/Birdie on her shoulder. Nice work. I like Fllay a lot! She's still pretty here though she's sad. Thanks so much for the scan. I like Fllay a lot so thanks for sharing. It's really sad she died because she really did love Kira even though she tried to manipulate him. HAHAHA Fllay is crying,fllay is crying! Ohhhhhhh Iam such a KILLJOY but I dont care (buti inamin ku rin)! hahaha! Thanks for the scan. And the very amusing scan-comments you've received, though that's not much to do with you.